The wider area of Zavižan, together with the sites of Rožanski kukovi and Hajdučki kukovi, is one of the most beautiful mountain areas in Croatia, and therefore protected as a national park. 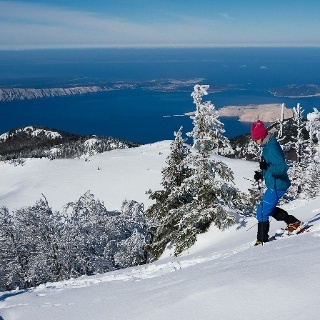 That area of Velebit and the name of Zavižan are well known not only for their beauty, but also for the mountain meteorological station Zavižan, established in 1953. The Zavižan group of mountain peaks occupies a central position in the northern area of Velebit. It consists of picturesque peaks surrounding the valley of Zavižanska kotlina like a wreath of sorts: V. Zavižan (1676 m.a.s.l. ), Balinovac (1602 m.a.s.l. ), Zavižanska kosa (1620 m.a.s.l. ), Vučjak (1645 m.a.s.l. ), Zalovačko bilo (1630 m.a.s.l.) and Pivčevac (1676 m.a.s.l.). From Pivčevac towards the southeast, the series continues with the peaks of M. Rajinac (1699 m.a.s.l. ), V. Rajinac (1667 m.a.s.l.) and Lomski vrh (1464 m.a.s.l.). Almost all these peaks are covered in forest interspersed with meadows, while the crowns themselves are bare, which makes them all good viewpoints. The path from Oltari, located at the transverse Velebit road Sv. Juraj – Krasno – Otočac, to the Zavižan mountain lodge covers 600 meters of elevation difference, but it is pleasant nonetheless, because there are no extremely steep sections, and the trail itself mostly passes through forest shade. 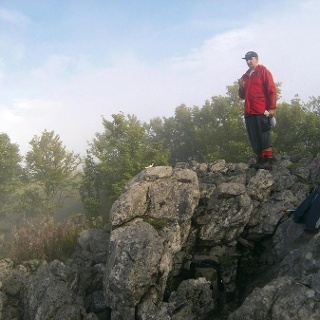 This is the shortest and the most suitable hiking approach to the northern area of Velebit. From Oltari, we start by taking the road towards Krasno for 200 meters, and then we proceed to the right and descend to the Zavižan road. We take this road for 1800 meters, and then proceed to the right and into the forest, onto a forest road where we follow the markings taking us through the forest and meadows, and bringing us back to the Zavižan road again after one hour of hiking. What follows is a short ascent to the ranger station at Babić Siča, which also represents the middle of the route. This is the entrance to the Northern Velebit National Park. Behind the entrance, the markings proceed to the left, next to the road. Then, after 10 minutes, the markings cross to the right side, where a steeper climb begins along the meadows of Vučjak to the beginning of the Premužić Trail. This trail passes through the area of Bijele stijene and takes hikers to the Zavižan mountain lodge. 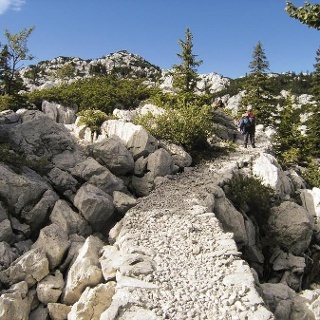 Hikers who wish to visit the Velebit Botanical Garden should descend along the asphalted access road from the mountain lodge to the longitudinal Velebit road that leads to the entrance to the Velebit Botanical Garden. At the edge of a widening that serves as a parking lot at the entrance to the Botanical Garden, there is a trail to the left that leads uphill to the peak of Veliki Zavižan. This trail ascends through the thicket and clearings to an intersection on a meadow. The branch to the right is the second access trail to the loop trail in the Botanical Garden, and the left branch is the climb to the peak. Markings lead hikers through the forest, and then through tall thicket in the final part of the route, all the way to the peak. Again, easy and well marked trails. Entry ticket to the national park 30 kuna.